Golf and ministry are two words that are deeply connected to Chuck Hammett’s life. They have gone “hand-in-hand” for more than two decades. Hammett started playing golf at the age of seven with his father and brother, while growing up in Venice, Florida. He played and competed in many sports as a youth, before turning his full time attention to golf at the age of thirteen. Under the tutelage of renowned teacher Jim Duval (David Duval’s uncle), Hammett developed into one of the top juniors in Florida. At the age of fifteen, Hammett was the youngest golfer in the state to qualify for the Florida State Amateur. After two challenging days, he made the cut and held his own against some great players. Hammett ended up qualifying for the State Amateur again, two years later at seventeen. He won many junior tournaments in his career, racking up enough trophies to “fill a room”. His talents landed him a golf scholarship at Stetson University, where he graduated in 1991 with a BS in Chemistry. Shortly after college, Hammett began his professional career in golf. While his skills as a player were high, he realized that his greatest talent was found in teaching. Hammett began his professional teaching career, at the Bill Skelley School of Golf in Niceville, Florida. It was also during this season of life, that his walk with God began to go a higher level. His life before the Lord went from a casual relationship, to one with ministry purpose for His Kingdom. While his teaching skills were being honed, Chuck received a unique call from the Lord: to write a golf ministry book. He completed this assignment by writing and publishing, “Jesus Would Have Been a Scratch Golfer”. The book teaches the mechanics of the golf swing from Kingdom and Biblical principles, had 3 printings and sold over 13,000 copies. 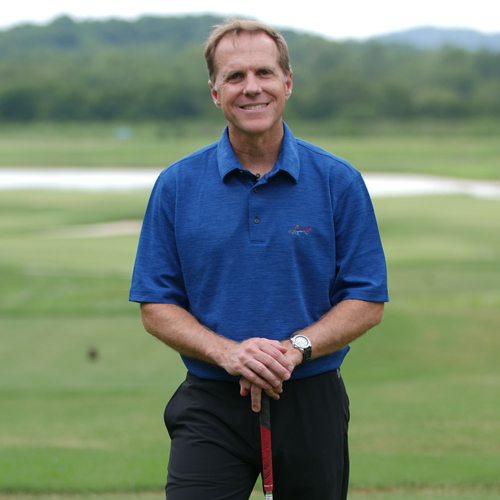 Through his book and teaching, Hammett formed a relationship with PGA Touring Pro, Kenny Knox. This led to working for several years as a lead instructor at the Kenny Knox Golf Academy in Tallahassee, Florida. He continued teaching in Tallahassee, as the director of instruction at Hilaman Park GC for many years. During this time, Hammett was also part of a team that planted a church in Tallahassee. He helped build that church for 15 years and it continues to this day. In conjunction with his book, Hammett traveled and ministered in several venues. He has taken his golf clubs into the pulpit of many churches, releasing Kingdom messages through the medium of the golf swing. Hammett has done ministry through clinics, lectures, on the golf course and in the pulpit. He has even led the chapel service on the PGA Tour. His ministry life has not been limited to the golf world. He has also helped build and lead different churches and ministries over the last 25 years. All of these years of golf and ministry experience are culminating in Kingdom Golf Connection. 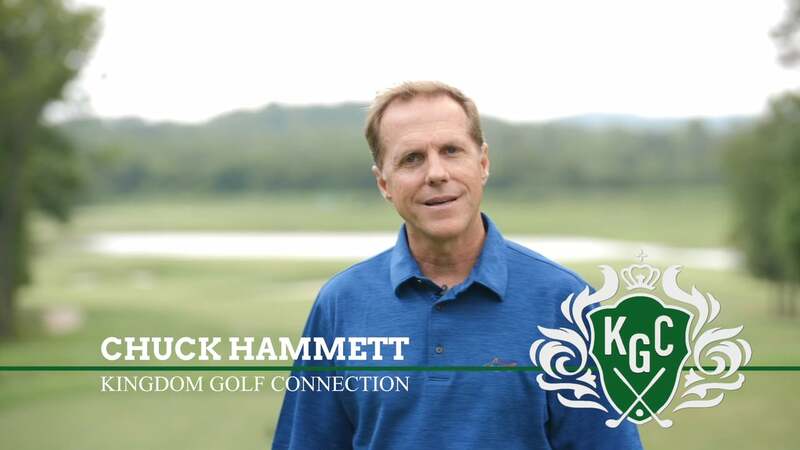 Hammett brings an extraordinary ability to release powerful ministry, through golf clinics, speaking at golf events and in your church meetings. Chuck Hammett is a dynamic speaker, opening the eyes of believers to Heaven’s culture and realities for life on earth, in a most unique way. He thrives on bringing revelation of Kingdom truths and helping God’s people live the lives that Jesus paid for, as true sons and daughters of the Most High. Through Kingdom Golf Connection, you can also take advantage of ministry golf events that Hammett puts on at the amazing golf resort, Pursell Farms in Alabama. Through these events you will be ministered to through the game of golf during the day, and receive deep ministry in worship, teaching and prayer in the evenings. These ministry golf events are great for church groups, pastoral staffs, families and corporate retreats. This is an amazing experience you will not want to miss out on. Hammett currently lives in Franklin, TN with his wife and three children. He is the head golf coach at Grace Christian Academy, teaches in the area and assists in building local churches and ministries.